Sold a Condo home in 2018 in Discovery Bay, CA. If you are thinking of buying or selling, look no further than Jeff and Maureen at Flat Rate Realty. They have many years of experience and knowledge of all areas. Every part of my sale from start to finish was flawless. Very Professional and prompt. They went over and beyond our expectations. Don't spend more money with a broker that is not personal and works so closely with you, this is the team you want!!! I was worried because we were in another city and they work from Brentwood however Not only did Maureen and Jeff save us money they expertly carried out the sale of our house...if there were any concerns it was taken care of immediately...best realtor experience ever. Bought and sold a Single Family home in 2018 in Knightsen, CA. They are the most personal and thoughtful couple to work with. Jeff and Maureen were a huge help in helping with the paperwork and inspections to go so smoothly. This was our first move in 40+ years and it was perfect because of their hard work. Thank you both so much!!! Sold a Single Family home in 2018 in Discovery Bay, CA. Sharing is Caring and this TEAM was the BEST! My transaction could not have been any easier and thorough. Selling a house is not much different than purchasing one. Maureen and Jeff were fabulous in ever way. No stress or mess. Smooth is the only way I can explain it. THANK YOU both from the bottom of my heart. Sold a Apartment home in 2018 in Concord, CA. Bought and sold a Single Family home in 2015 in Discovery Bay, CA. Sold a Single Family home in 2017 in Discovery Bay, CA. Maureen and Jeff are absolutely the best! They handled every step of my home sale with professionalism and were always available to me when I needed them. No one will work harder for you. And, their knowledge of the East County area is second to none, especially Discovery Bay. I have to admit that I was a little nervous because of the extremely low commission structure but that turned out to be the best part. I saved thousands and they worked every bit as hard selling my home as any other realtor I've used in the past. Bought and sold a Single Family home in 2017 in Discovery Bay, CA. Sold a Single Family home in 2017 for approximately $500K in Discovery Bay, CA. Jeff Gray and Maureen Prince proved to be very professional, knowledgeable, available and yet friendly and low pressure throughout the process of the sale or our home and purchase of another home in Discovery Bay. My wife and I interviewed three other Brokers/Realtors, and we received the same "old school" song and dance, old marketing schemes and how they wouldn’t negotiate from 6% which some even referred to as “Monopoly” money. While searching and walking through homes for purchase, it was Maureen and Jeff whom I kept seeing actively showing and listing homes. Jeff and Maureen provided a far superior marketing plan, website, fliers, market research, drone photography, etc. If it weren’t for their effective marketing, showing of the home, and 1% listing, we wouldn’t have been able to structure the sale and save money as we did to enable simultaneous closing on my sale and purchase. If you are looking for professional, knowledgeable, trustworthy, friendly straight out good people to seamlessly walk you through your sale or purchase with superior service at a lower price, then they are definitely your realtor or broker. If you don’t consider them, then you can be the fool giving away your “Monopoly” money while they wait for the market itself to sell your home!? Maureen Prince is a Broker Associate of Flat Rate Realty and has been selling real estate in Discovery Bay, Brentwood and Contra Costa areas since 1993. 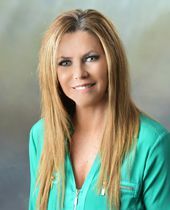 Maureen Prince owned and managed R Prince Realtors from August of 2005 to 2009 prior to joining the Flat Rate Realty Team-bringing with her experience, professionalism and a wealth of knowledge of the real estate market. Flat Rate Realty, is made up of distinguished real estate professionals who now represent the most sophisticated and technologically advanced marketing firm specializing in distinctive properties and estates. Maureen has been Top Producer throughout her career, working for several other Brokerage's before joining Flat Rate Realty. There are no big "secrets" to getting results and that applies to any business. Know your product, be fair with all your clients, be consistent and focused. Always "over deliver on your promise". You will always end your business dealings on a positive note and everyone wins.